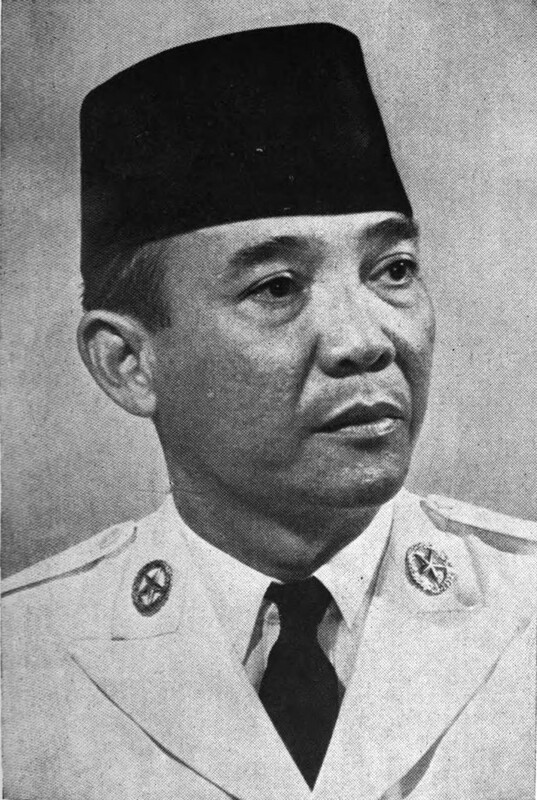 Soekarno, the first President of Indonesia. This file is in the public domain in Indonesia because its copyright has expired, according to Articles 30 and 31 of the Indonesia Copyright Law No 19, 2002.
shall be valid for 50 (fifty) years as of the first publication. The Copyright on topographical arrangement of a published work shall be valid for 50 (fifty) years after as of the first publication of the Work. The Copyright of works as referred to in paragraphs (1) and (2) of this article, and Article 29 paragraph (1) which are owned or held by a legal body, shall be valid for 50 (fifty) years as of from the first publication. Article 11 paragraph (1) and paragraph (3) shall be valid for 50 (fifty) years as of the first time the work is known to the public. The Copyright on works which are exercised by publishers pursuant to Article 11 paragraph (2) shall be valid for 50 (fifty) years as of the first publication.